As a medical practitioner, there’s no doubt that your understanding of the human body and its many conditions is more advanced than the understanding of the general population. You’ve been on the front lines of sickness, death, new life, hope, and suffering, and the valuable perspective of all medical professionals has helped develop evidence-based treatments and hypothesize different theories about human care. Yet in our current day, there is still much to learn about substance use disorder treatment and care. Alcoholics Anonymous — one of the first successful treatment options for those suffering from alcohol addiction — has been around since the late 1930s, and in that time other treatment centers for alcohol and drug addiction have come and gone. Over time, the AA 12-step program has become a backbone of alcohol use disorder treatment, but other, more successful options do exist. Many of them have found different methods for combating substance use, often with varying results, but over the years they have faced their own issues with funding and support. Despite the prevalence of low-income individuals suffering from substance use disorder, many of these rehabilitation centers have had to turn to expensive resort-style clinics, with exorbitant fees and inaccessible care for those living below the poverty line. Outside of these rehabilitation centers, many medical professionals have struggled to find appropriate approaches to treating and improving the lives of individuals suffering from substance use disorder. A lack of understanding, lack of empathy, and prejudices have created additional barriers to treatment outside of funding. Yet, perspective is key when it comes to understanding and properly treating those suffering from substance use disorder, and the thousands of medical professionals around the nation are on the front lines of this massive epidemic. You have both the power to change lives on an individual level as well as implement the systemic changes needed to improve care across the nation. Societal perceptions and medical treatment often go hand in hand. Unfortunately, medical professionals often develop misconceptions about medical care or individualized treatment, which in turn can lead to mismanaged care options, prejudicial treatment of patients due to gender or race, and further stigmatization of commonly misunderstood conditions or ailments. Drug and alcohol addiction is certainly one of those conditions that has struggled to gain serious attention and care for the majority of western medicine’s existence — often being considered a “moral failing” instead of a legitimate medical condition. However, due to the rising number of prescription opioid painkillers and the rising number of overdoses due to their addictive nature, medical professionals are beginning to take a different approach to understanding drug addiction. Through the help of counselors, rehabilitation specialists, and psychiatrists, substance use disorder is now being seen more as a disease than a personal failing — linked to physical changes within the brain, triggered by memory cues, resulting in involuntary behavior and potential relapse, and capable of being treated if seen as a legitimate disease. Medical professionals are also beginning to reconsider how often painkillers are prescribed and are considering alternatives — although few are currently available on the market. Additionally, medical professionals are also finding a common link between substance use disorder and mental illness, resulting in a phenomenon known as “comorbidity,” or the simultaneous presence of two chronic conditions in patients. The presence of mental illness and substance use disorder can further impact and exacerbate each other, resulting in attempts to self-medicate with substance abuse and creating further issues with paranoia, depression, anxiety, and more. With about 43.6 million Americans suffering from mental illness, about 7.9 million also struggle with substance use disorder. Due to the rising knowledge surrounding these conditions, much of the language around substance abuse has changed in recent years — with medical specialists turning away from the negative connotation associated with “addiction” and preferring to use terms such as “substance abuse” and “substance use disorder.” Oftentimes with language change also comes a cultural change in society, and even now, legislatures across the country and government organizations are beginning to take substance use disorder more seriously. Implementing similar changes in your personal language can also have an effect. If you’ve found that your working environment is often not supportive of those suffering with substance abuse, then curbing your own language and developing your own understanding of these conditions can help positively shape your clinic and improve the knowledge gaps your staff may be struggling with. Through personal development, you may be able to further evolve the values and treatment within your clinic, creating a more supportive network for those struggling with comorbidity. However, as important as language may be, there is also concern with the amount of painkillers that are being prescribed and the amount of people who are struggling to wean off them. Limiting the amount of painkillers being prescribed at your clinic, as well as developing evidence-based protocols for patients that need to come off them may help prevent addictions from developing in the first place, as well as help those that are struggling with a current substance use disorder. Whether you work directly with patients suffering from COD or you simply work in a family clinic, every level of the medical field — from medical assistants to specialized doctors — should be prepared in some capacity to handle COD patients and their unique needs. Due to the increased prevalence of prescription painkillers, medical professionals have an increased chance of coming across patients who are struggling with drug dependency and substance use disorder. Being fully prepared for those possibilities can make the inevitable encounter easier to handle, resulting in better care for the patient and less chances of burnout for the medical staff. In addition, many clinics in rural areas may be the only option for those struggling with COD, and many of those hospitals may be ill-prepared for such a demand. 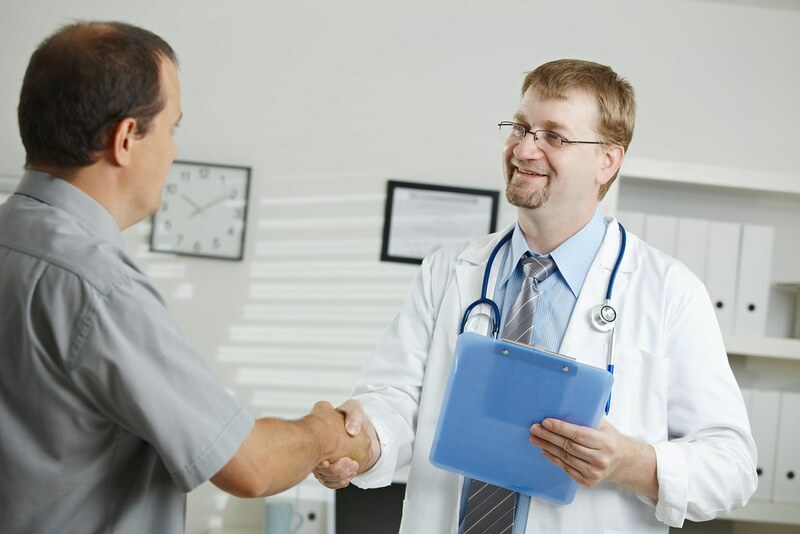 In those cases, the attitude and values of the local staff is of paramount concern — as their interaction with the patient may be the only medical treatment that these individuals seek out. Having a negative experience could easily result in that patient no longer seeking out medical help for their ailments, potentially even exacerbating pre-existing or chronic conditions, and further pushing them into harmful substance abuse. Developments in telemedicine for rural areas has certainly helped improve care for all patients, but there are still gaps in care for COD patients. Primarily, the lack of social workers in rural areas — about 80 percent of social workers are located in urban areas, despite a high demand in more rural counties, including Native American communities — can hamper the progress of COD patients, as social workers often have the knowledge and expertise needed to accurately care for their mental health and substance use disorder needs through therapy and prescription management. It can be cost prohibitive to employ social workers in rural community medical centers, but telemedicine, telepsychiatry, and technology-assisted therapy can cut some of those costs. If rural medical centers can find affordable options to expand their care network with social workers, then they may be able to fill those gaps in treatment. In general, funding for meeting staffing needs, educational needs, and the needs of patients is always a barrier to providing accurate care. Additionally, many patients may lack adequate health insurance or access to affordable healthcare, which could further exacerbate their condition(s). Although funding for patients is lacking, there is very little that medical professionals can do to change current circumstances — other than supporting nonprofit services, voting for accessible healthcare solutions (such as expanding Medicare) and those promoting it, and providing support to pop-up clinics, new technologies, and/or sliding scale medical offices. Create Evidence-Based Initiatives: To help promote COD patient needs across the floor, administrators can create evidence-based initiatives that help communicate those needs as well as promote additional training opportunities. These initiatives should clearly present the mission, values, and aims of service, as well as feature strong and continued supervision of those services. Through direct supervision, medical staff can learn new skills to help provide enhanced or specialized care, and supervisors can become a model for the adequate techniques, summaries, and feedback needed to create a supportive environment for COD patients. Seek Out National Training Resources: Medical staff on all levels should always be on the lookout for additional training resources and new studies that help clarify or define the best treatment options for COD patients. However, it’s also important to remain critical of all studies, research origins, pay attention to potential conflicts of interest, and seek out new ways of thinking that are based in evidence but may challenge conventional views. Online magazines and forums may provide additional avenues for conversation, and you may be able to discuss options with other providers across the nation to help you garner a new perspective on modes of treatment. Hire staff who are familiar with both substance use disorder and mental illness, and ensure that their opinion or views of either disorder are positive and empathetic. Hire staff members who think independently and critically, but who are also willing to search deeper, ask questions, listen (without judgement) to patients, remain open to new ideas or concepts, are flexibility, work cooperatively with other departments and staff, and engage in creative problem solving that is based in evidence. Create and communicate a framework of realistic expectations for progress for those working with COD patients. Provide opportunities for consultation when medical staff share the same patient. Ensure that supervisors and administrators are knowledgeable and understanding of the specific needs of COD patients. Additionally, provide advocacy for COD patients when discussing issues with those in positions of power and funding, ensuring that their concerns are heard and understood. Provide opportunities for continued education and training relative to COD, substance use disorder, and mental health needs. Additionally, allow for staff feedback on program design, implementation, training, and education. Lastly, provide a desirable work environment through adequate and appropriate compensation based on experience and dedication to care, and possibly even provide salary incentives for COD expertise. Additionally, promote and provide opportunities for training and career advancement, as well as involvement in quality improvement or clinical research activities, and be diligent about efforts to adjust workloads in order to avoid burnout. Shifting language away from negative connotations can help substance abuse disorder patients be taken more seriously by medical staff, as well as those in government that make policy decisions. Creating protocols based on evidence for prescribing, monitoring, and stopping prescription opioid painkillers could help prevent further drug dependencies from developing or help those that are already struggling with substance use disorder. Preparing all medical practices and personnel for the complexity of caring for comorbidity or COD patients could help both patients and medical staff have a better experience and a more positive carepath. Increasing access to therapy and increasing the number of social workers that serve rural areas could help prevent gaps in care for underserved rural communities. Finding affordable alternatives for continued education can help medical staff stay up to date on evidence-based procedures, as well as find new ways to meet the needs of COD or substance use disorder patients. Finally, hiring and staffing decisions can have a major effect on how a clinic and the staff treat and care for COD patients. Supporting COD issues through all levels of administration and employment is vital to creating an inclusive environment that promotes progress for these unique patients. Brooke Faulkner is a mom and writer in the Pacific Northwest. She is passionate about sharing her knowledge about the healthcare industry to help both healthcare providers in providing quality care, and families like hers in getting the healthcare they need. Can Blockchain Technology Improve the Healthcare Industry?